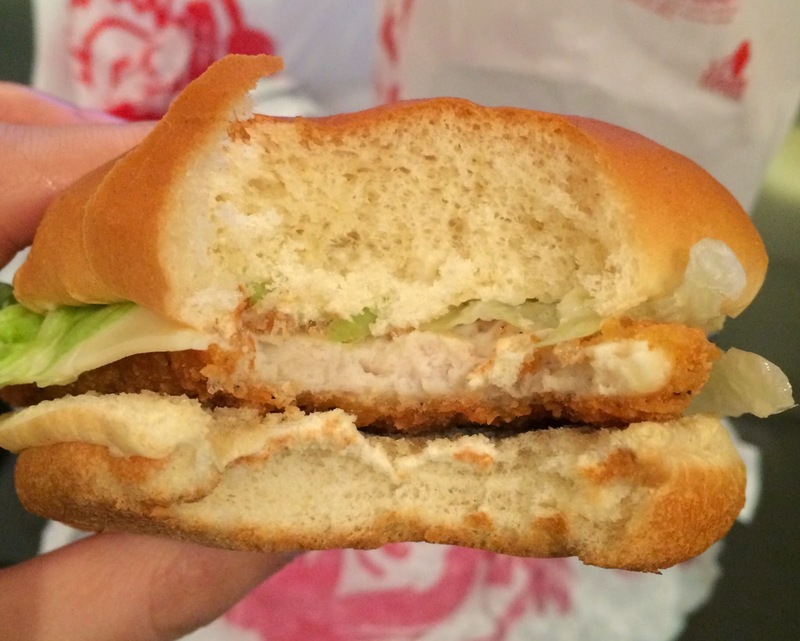 Wendy's brought back Monterey Ranch Crispy Chicken Sandwich to "Right Price Right Size Menu" for 99 cents for a limited time from August 22, 2013 according to some articles. 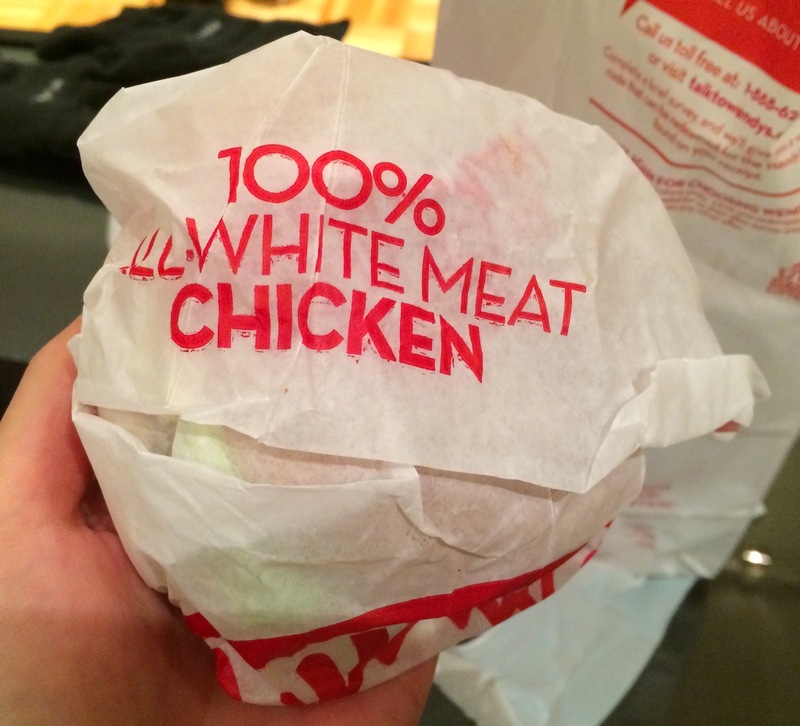 It's wrapped in a paper and it says, "100% all white meat chicken." This sandwich looked similar to the advertisement but the size of the chicken was much smaller. 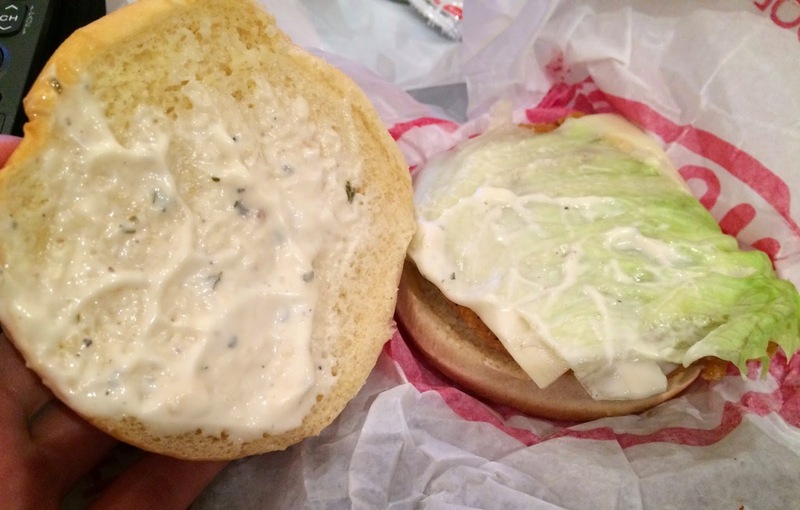 There's generous amount of ranch sauce, which I prefer not, so I bit those parts where had the least ranch sauce. 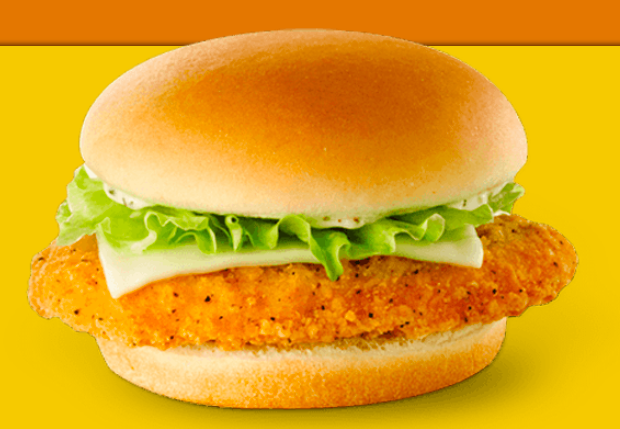 Between buns, there're ranch sauce, lettuce, a slice of Monterey cheese and a crispy chicken from the top. 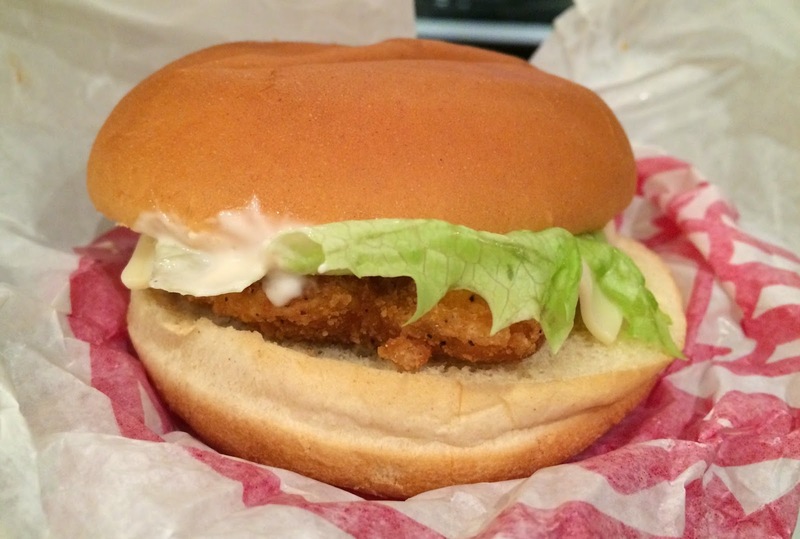 Buns were soft and chicken was all white meat as it said on the wrap, but it's mushy as it's reformed meat. The breading was crispy and the cheese was plain. The ranch sauce was described as "zesty" and I tasted some black pepper, but it's too creamy and rich for me. Other burgers in U.S. I've reviewed are the following.